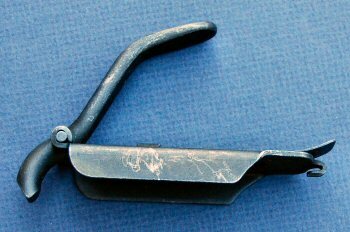 #m08 Sten machine carbine magazine loading tool. Blued overall and in excellent condition. 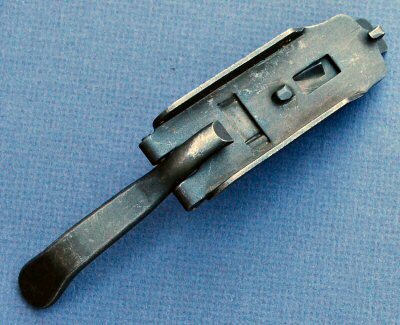 #m01 – British P37 WE bayonet frog. 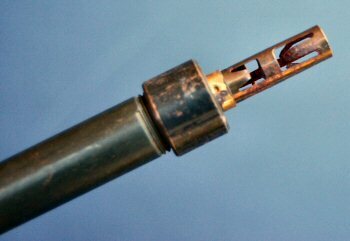 Manufactured post WW2 Designed to carry either the No4 or the No5 bayonet scabbard. NATO stores numbers and manufacturers markings stenciled on the reverse. 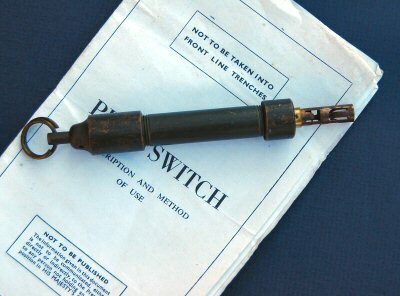 #m15 – An original WWII British pull switch device to be used in conjunction with a trip wire for firing mines and booby traps. Complete and full functional, with facsimile of the instruction pamphlet issued by the War Department in 1941. 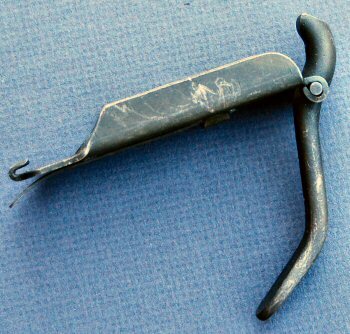 #f001 – British P37 WE bayonet frog. 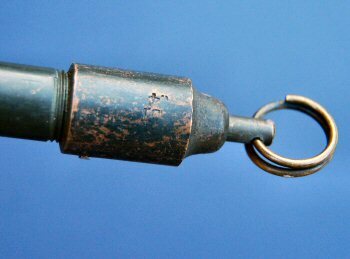 Manufactured post WW2 Designed to carry either the No4 or the No5 bayonet scabbard. Unissued condition. 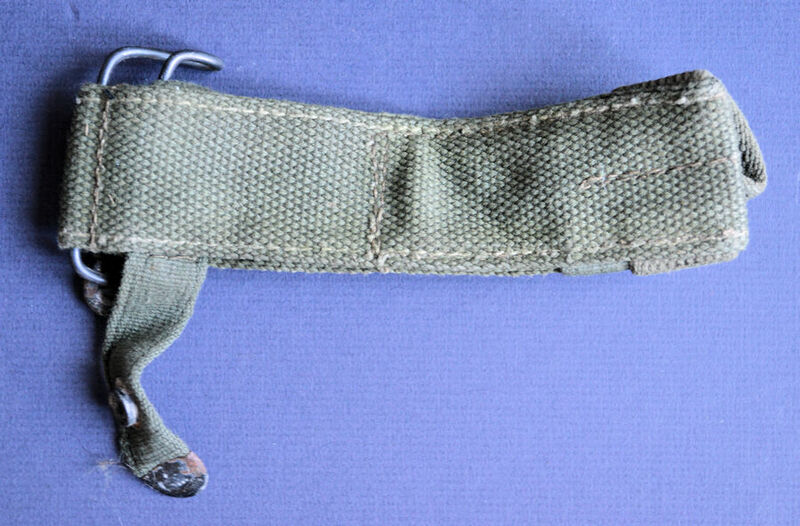 #f002 – Canadian webbing frog for the C1 bayonet. Short belt loop. #f010 – P1937 WE belt frog. 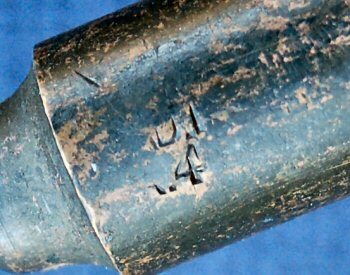 Interesting example, with looser weave than usual British examples, and probably Indian issue. 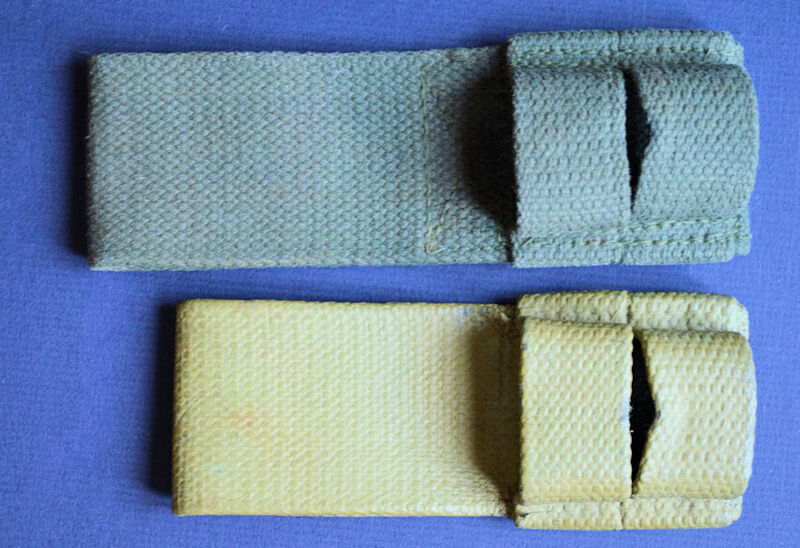 #f009 – Two Canadian webbing frogs for the C1 bayonet. Short and long belt loop variation. 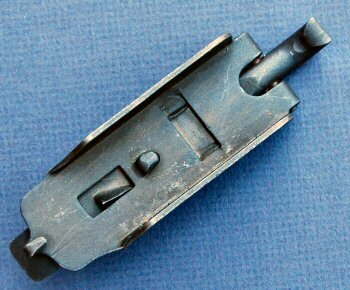 #f008 – British P37 WE bayonet frog. 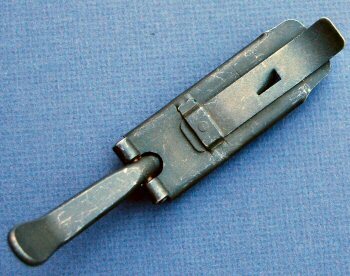 Manufactured post WW2 Designed to carry either the No4 or the No5 bayonet scabbard. 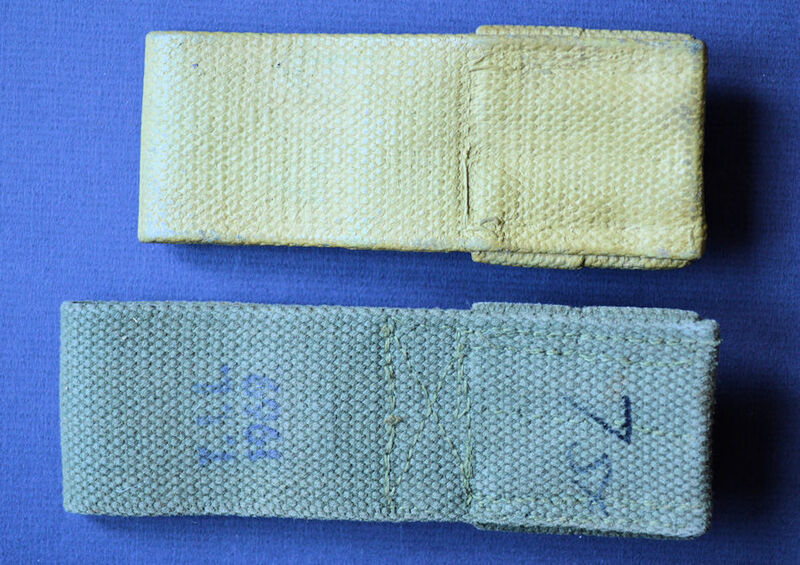 NATO stores numbers and manufacturers markings stenciled on the reverse. #f005 – Canadian Ceremonial PVC belt frog, for the C1 bayonet. 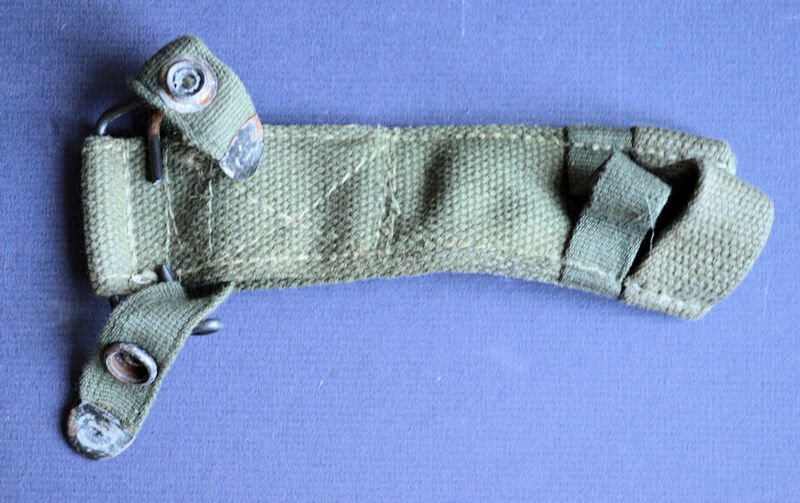 #f007 – Webbing frog for No.5 style scabbards. #f006 – P1925 Royal Air Force WE belt frog. #f004 – Canadian Pattern 1982 polyurethane coated web frog for the C1 bayinet. #f003 – Commercial made web frog for No. 4 and No. 5 scabbards.